Diagnostic medical imaging demands precise detail, particularly in the field of ophthalmology. For Dr. Bernard C. Szirth, Director of the Applied Vision Research Laboratory at the Institute of Ophthalmology and Visual Science at the New Jersey Medical School (part of the University of Medicine and Dentistry of New Jersey), this meant choosing the REALiS SX7 Multimedia LCOS Projector from Canon U.S.A., Inc.
"I first saw the REALiS SX7 Multimedia LCOS Projector in action at a meeting for the American Academy of Ophthalmology," Dr. Szirth recalled. "I was amazed by its capabilities. It offers both the resolution and the color balance that is true to the capture capabilities of the clinical equipment we use." As a clinical instructor at the university, Dr. Szirth trains residents, optometrists, and technicians both in the classroom and in the field. As part of the institute's commitment to the highest standards in education, Dr. Szirth uses the REALiS SX7 in both locations for precise, extremely color-accurate medical-grade display of the delicate structures of the human eye. "The REALiS SX7 LCOS Projector allows our students to understand digital images the way I see them in the scope. We project gray scale fluorescein angiograms, which are difficult to interpret without high contrast and high resolving power." "We use Canon's retinal cameras," Dr. Szirth noted, regarding the Community-Based Eye Screening Program, which checks for retinal diseases in children and adults. "The image quality, edge-to-edge sharpness, self-alignment, and color control of Canon's retinal cameras all speak to Canon's understanding of imaging needs in the medical field. Capturing digital images with a high-quality retinal camera demands that we also review those images with a super high-resolution screen, or in our case - a high-resolution projection system. Canon's optical reputation played an important role in our decision to choose the REALiS SX7 LCOS Projector. Without a projector that has the clarity of the REALiS SX7, it would be easy to miss the appearance of early diseases that are associated in the discovery or follow-up of an eye treatment. Color and resolution are also key factors." The REALiS SX7 Multimedia LCOS Projector displays intricately detailed images at SXGA+ (1400 x 1050) resolution, a contrast ratio of 1000:1, and a high brightness rated at 4000 lumens. Essential to the REALiS SX7 Multimedia LCOS Projector's detailed still- and motion-image display capabilities is its proprietary Canon AISYS (Aspectual Illumination System) Optical Engine. A product of Canon's worldwide leadership in digital imaging, the AISYS Optical Engine efficiently equalizes and optimizes light from the projection lamp and maximizes the benefits of LCOS (Liquid Crystal on Silicon) technology. The REALiS SX7 also features a Genuine Canon 1.7x Power Zoom Lens as well as Canon's high-accuracy Color Management System, which is derived from technology originally developed for their acclaimed line of digital cameras and printers. Proprietary color filters deliver exceptional accuracy and detail in both Adobe RGB and sRGB color space, which are vital to medical imaging and other professional disciplines demanding precise color-matching. "In addition to needing a projector with high resolving power and true color rendition from the capture source," Dr. Szirth added, "we also need automatic image set-up." The REALiS SX7 Multimedia LCOS Projector fulfilled that requirement as well for Dr. Szirth and his students. As with other models in Canon's REALiS line, the REALiS SX7 offers a host of "smart" features that make preparing for a presentation quick and easy. Within seconds of a user pressing its Auto Setup button, the REALiS SX7 identifies the input source, corrects keystone distortion, sharpens focus, and adjusts for wall color. A projected Guide Message Display in an on-screen window provides convenient information and set-up tips. When the presentation concludes, the REALiS SX7's Off and Go feature allows users to pack-up quickly by simply unplugging the power cord while internal circuitry continues to run the fan and cool the projector. "Nothing I have seen in the medical arena comes close to the capabilities of the Canon REALiS SX7 Multimedia Projector," Dr. Szirth concluded. "It delivers what we need." 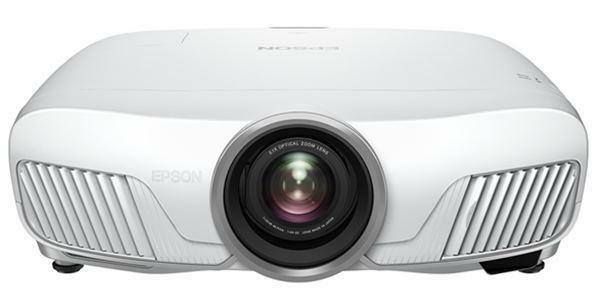 For more information about Canon REALiS Multimedia LCOS Projectors, please visit www.usa.canon.com/projectors. Canon U.S.A., Inc. delivers consumer, business-to-business, and industrial imaging solutions. Its parent company, Canon Inc. (NYSE:CAJ), a top patent holder of technology, ranked third overall in the U.S. in 2007†, with global revenues of $39.3 billion, is listed as one of Fortune's Most Admired Companies in America and is on the 2007 BusinessWeek list of "Top 100 Brands." To keep apprised of the latest news from Canon U.S.A., sign up for the Company's RSS news feed by visiting www.usa.canon.com/pressroom.